The holiday season is here and we will be searching for the perfect gifts for many people in our lives. Shopping from the convenience of our own home is one of the greatest benefits of the internet. You don’t have to wait in line, stand in crowds, or even take off your pajamas. With this convenience, comes many cyber criminals creating fake shopping websites, sending phishing emails, and trying to steal from others. Research the website. There are many independent sources that will give grades to websites. Places like Reseller Rating or Better Business Bureau can be very informative. Even entering the the URL into a search engine and looking at results can be informative. Check the merchant’s customer information and return policies. Do not provide a vendor with personal information or bank account numbers. Make sure that they will support you if you package is stolen or missing. Protecting your device is just as important as shopping at legitimate websites. Make sure to always install the latest updates and run up-to-date anti-virus software. This makes it much harder for a cyber criminal to infect your device. On top of that, if you have children, let them use a secure device. Not one where your credit card or bank information is stored. When you are in the checkout process, the web site should be using encryption called SSL (Secure Sockets Layer). SSL ensures secure transmission of your credit card information across the internet. You can tell if the web site is using SSL by look for https: (rather than http://) at the beginning of the web site’s address in the browser. Never send your credit card numbers via e-mail. Although it is generally safe to enter your credit card number on a secure web site, it is not safe to send it through e-mail. E-mail is sent through the internet in clear text format, so it’s possible for someone other than the vendor to see it. Keep a record of your transactions. Print or store the copy somewhere for your records. Check your credit card statements to verify you were charged the proper amount. Also, keep any e-mail confirmations about your order for later reference. 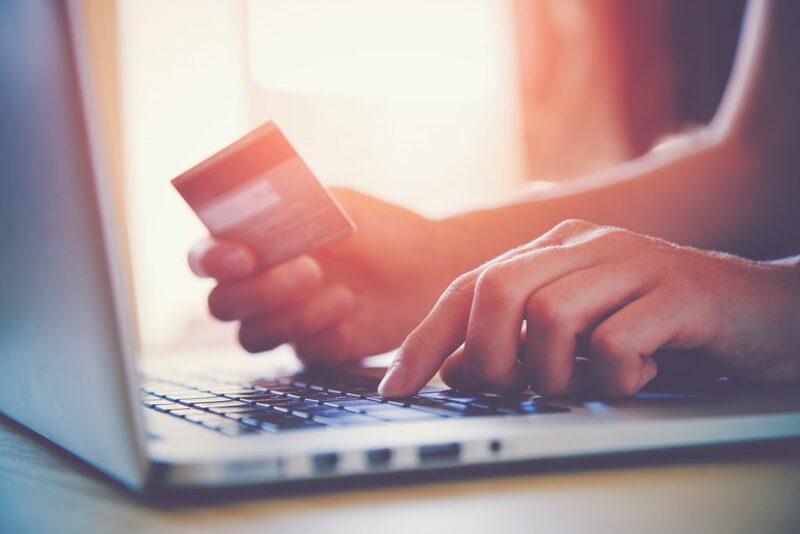 Consider using credit cards that generate a unique card number for every online purchase, such as PayPal, which do not require you to disclose your credit card number to the vendor. If you do have a problem with an online vendor, first attempt to work it out with them directly. Don’t just rely on e-mail; call them as well. If you cannot resolve the problem to your satisfaction, contact your back and ask them to stop the payment. You can also use an online service such as SquareTrade to resolve your dispute. Finally, you can file a complaint to the state Attorney General’s Office, post your experience on a site like Reseller Ratings, or contact the Better Business Bureau.